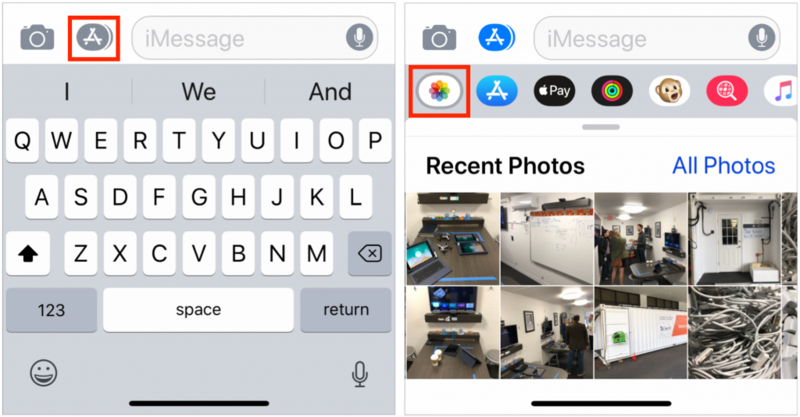 Before iOS 12, you’d tap the camera button in a Messages chat in order to share either a brand-new photo or a photo that had already been taken. In iOS 12, Apple changed things so tapping the camera button only lets you take a fresh photo. To find and send a photo that’s already in Photos, use the Photos mini-app in Messages. 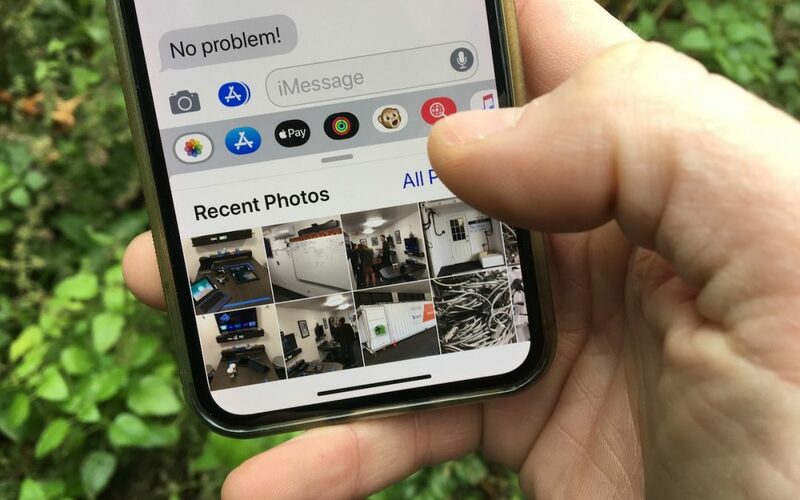 If necessary, tap the Apps button to the left of the message field to show the Messages apps, and then tap the Photos button to see a list of recent photos. Tap one or more to add them to the message, and you’re ready to send!